Skin rashes can affect anyone across all age groups. It is mainly caused due to heat and affects people who sweat profusely. Though it is not a serious skin disease, yet it can cause irritation, itching, and blisters. 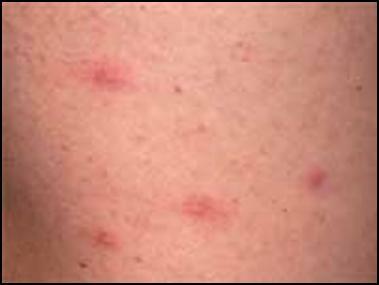 Rashes commonly occur in neck, chest, and pubic regions and cause discomfort in the affected area. Perhaps the most well known homeopathic remedy for skin rashes is sulphur. Even in patients who have taken other sorts of medication for skin rashes for a long time with no effect, sulphur has shown positive results. Especially in curing the redness and extreme itching at night, sulphur is the go to medicine. This medicine is derived from natural sources and is therefore totally free from side effects of any kind. If the itching is accompanied with a burning sensation, then Apis Mellifica is the medicine you should choose. If your summer skin rash is accompanied with pus containing eruptions, then this homeopathic medicine is of great aid. It is also prescribed when the itching has an intense burning sensation and is very sensitive. Hepar Sulph helps in quickly drying up the affected area and provides relief. Again a natural remedy, it is great for treating rashes in bends of joints like knee or elbow. It is also very effective and suitable in extreme conditions when the itching is uncontrollable, results in bleeding and pain which creates problems in even falling asleep. Rashes are quite common in infants due to improper dressing and sweat accumulation. The homeopathic medicines aconite and chamomilla are best suited to treat rashes in infants. Especially when the rashes are accompanied by red pimples or get worse at night, these homeopathic medicines can bring relief.